Helm is a non-profit organization that aims to promote employment and the full participation of Egypt's 15 million people with disabilities in all aspects of life. They have a vision of becoming a leading career and development NGO in Egypt that ensures the recruitment and development of persons with disabilities in a broad range of jobs and careers while enabling the workplace environment to address their needs. 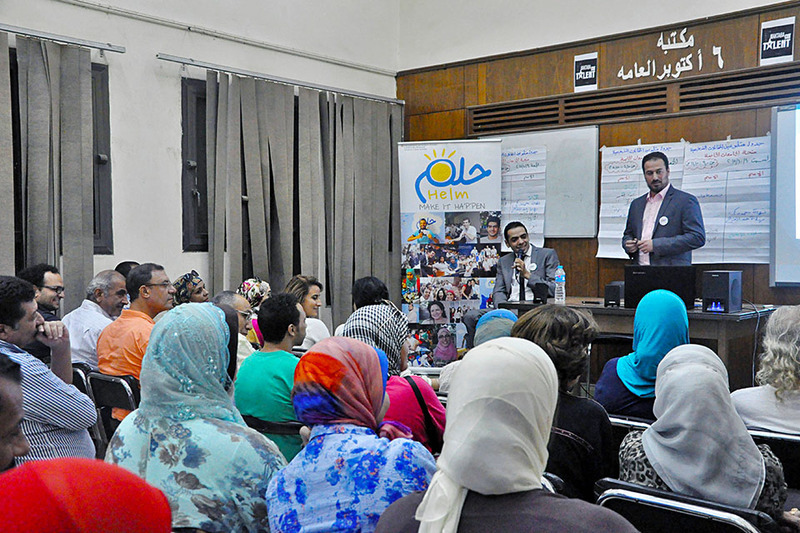 Helm's mission | To promote social inclusion in employment and accessibility for persons with disabilities in Egypt. Helm was inspired by personal experiences by cofounders Amena and Ramez. For Amena, it was her experience at the blind museum in Germany that inspired her to think more deeply about what it meant to live a full life as a person with a disability in Egypt. For Ramez, it was seeing the world through the eyes of a good friend with disabilities in college - understanding how much harder it was for his friend to navigate the physical and social environment around him. 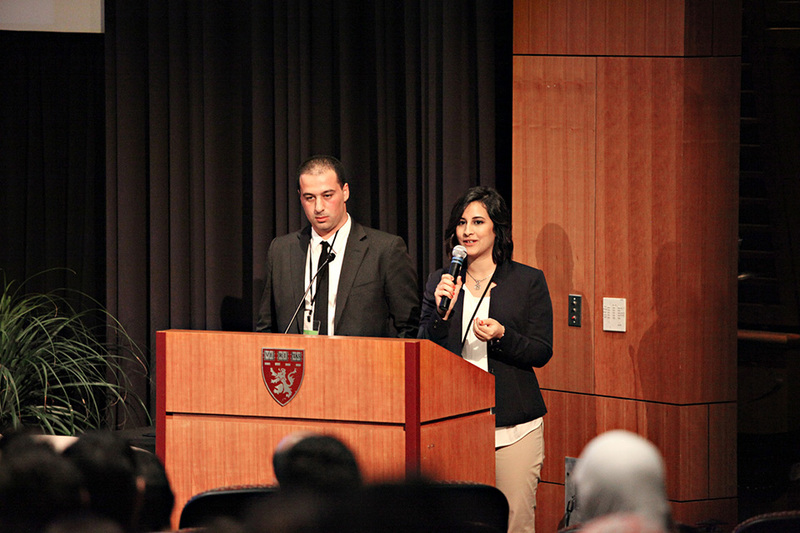 Amena and Ramez were childhood friends and whose personal stories and professional interests and larger purpose came together in founding Helm. 10-15 million people in Egypt live with some form of disability. This figure does not include people with impairments from aging or mobility difficulties for parents with children. 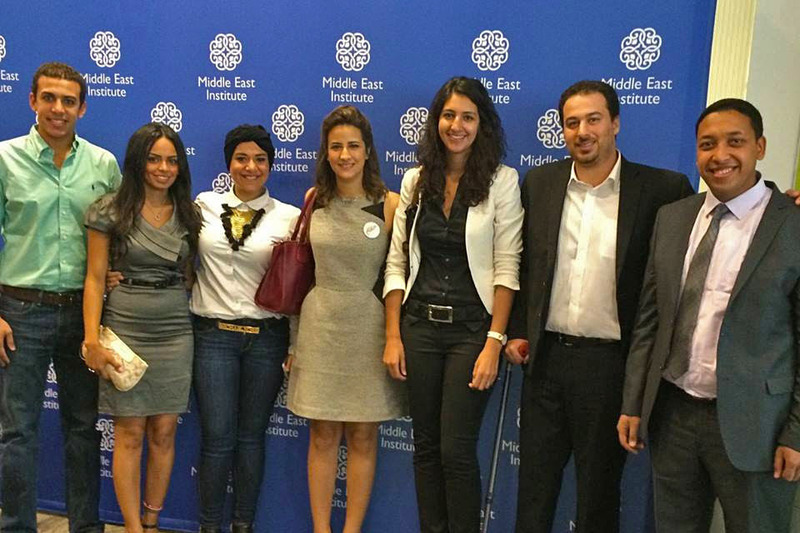 Egyptian law requires companies with over 50 employees to hire 5% persons with disabilities. In practice, many companies pay these employees a nominal wage and incentivize them to stay at home. Helm is working to change this practice by training both employers and employees on accessibility in the workplace, so that persons with disabilities may live their potential in an equitable environment and so that society can benefit from all they have to offer. 5000+ corporate employees and 1500+ persons with disabilities have been trained to date. Helm has installed over 100 ramps on curb cuts and consulted 200+ service service providers to become physically accessible including hotels, restaurants and cafes in cafes in Cairo through their 'Entaleq Program'. Helm has developed 400+ patnerships in the public and private sectors to build awareness and collaborations. 1. Facilitated global accelerators to the U.S. and Brazil to visit model organizations working on accessibility and employment for persons with disabilities. 2. Facilitated strategic planning to focus organizational goals and plans, and to consolidate activities to develop deeper knowledge in core areas to build awareness and influence policy and practice. 3. Connected Helm to best-in-class organizations in inclusive employment and universal design such as Disney, The Viscardi Center and others, with some now serving on Helm’s Board of Advisors. 4. Provided global exposure at premier conferences such as The Concordia Summit, where Helm presented their work before an audience of c-suite executives, philanthropists, & world leaders. 5. 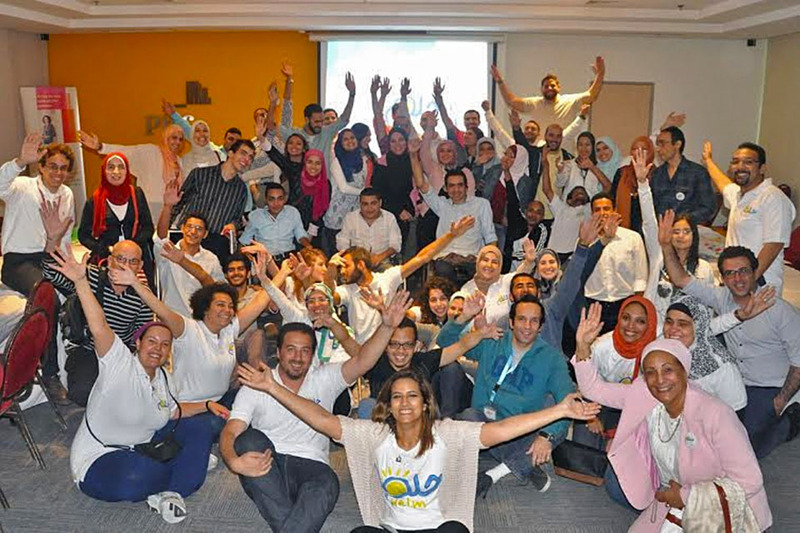 Consulted Helm on strategy and facilitated outreach for their 1st global conference called ‘Cairo 2016: A City for All,’ which convened top management from Egyptian and global companies to share best practices around workplace accessibility and inclusive employment. "To be honest, the whole experience has resonated with me, even beyond the word ‘resonate.’ The training sessions, the conferences, the contacts, the guidance are all incredibly important - but what makes RISE truly different is that every part of the program makes me feel supported. " "RISE has given me a mix of skills and experiences from experts as well as relationships and partners with professionals in the field who share advice and expertise. This helps build credibility and trust in the impact we can make as an organization. " "It’s been great…Seeing the esprit d’corps of the organization.. and the energy.. and the commitment of everybody has been great, and fun.. very dedicated. It’s a great group - I’m very proud of what they have achieved in a very short period of time, and I think it’s just onward and upward for them. "